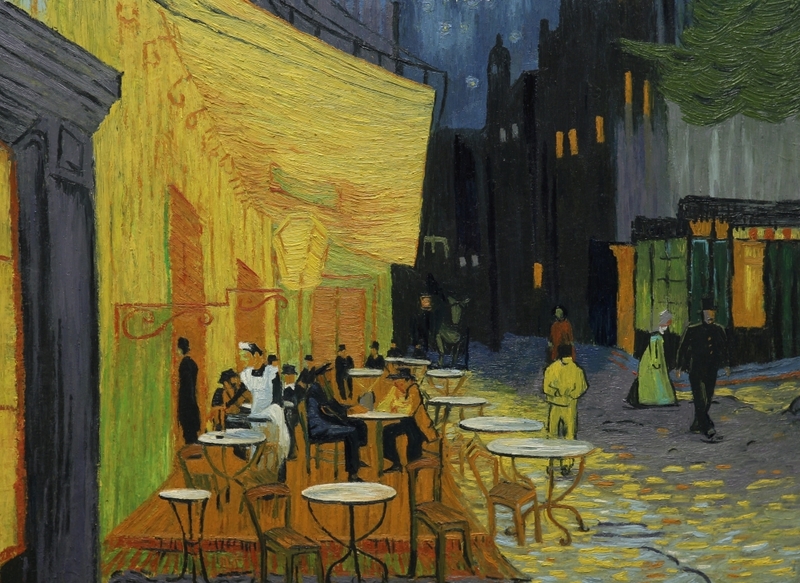 Home » Classical Gyan » Loving Vincent – When Paintings Come To Life! Loving Vincent brings alive the magic of Vincent van Gogh. The movie, made of oil paintings, is a visual delight. The film’s 65,000 frames are actual oil paintings on canvas – painted in Van Gogh style by more than 125 painters. What a thought! What an execution! What a result! The movie is a cinematic experience not to be missed! It’s like Van Gogh’s paintings and characters coming to life as you experience the story. The efforts and detail-oriented execution of 6 years of creative work bring rich results on screen. The director Dorota Kobiela had planned this as a short movie with crowd-sourced funding but the project gathered momentum and it has become a mammoth masterpiece. The film was made at a cost of USD 5.5 million – a fraction of Marvel and DC budgets! Dorota Kobiela deserves a rich applause for this magnificent and innovative work! Loving Vincent is the first fully painted animated feature film which revolves around the mystery of Vincent van Gogh’s death. Postman Joseph Roulin asks his son Armand to deliver Van Gogh’s last letter to his brother Theo, but both the sender and the recipient are dead. It’s almost one year since Van Gogh’s death and Armand tries to find out the real cause. There is no conclusive evidence. During his pursuit, the audience discover Van Gogh’s genius, his approach to life, his loneliness, his troubled childhood, his professional challenges, his relationship issues and other facets of his life. What impressed me the most was that he created his masterpieces and genius body of work within a decade. He had more than 2000 works of art in a decade – we do not need a lifetime to create works that are timeless!